GR – Ljubljana Exhibition and Convention Centre Ljubljana (GR), this year celebrating its prominent 65th anniversary, recently introduced plans for a new addition to its infrastructure. Namely, GR that boasts largest event venues in Slovenia’s capital, is planning to welcome a new building. The gross floor area of the new GR’s building is planned to be 2630 square meters and the total height of the building 24 meters. 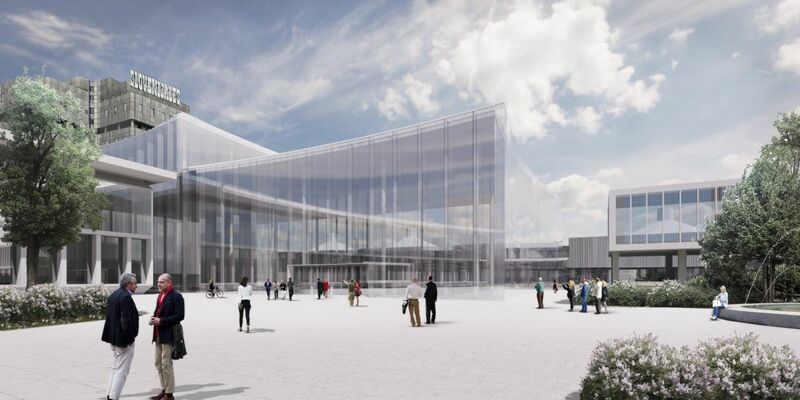 In the ground floor of the building, the GR will gain the largest multipurpose hall in Slovenia, mainly intended for fair and congress activities. The hall will accommodate up to 4,000 guests. The construction, worth between 5 to 8 million euros, will last for approximately one year, and is estimated to start between 2022 and 2023. The GR has been already for three decades annually organising, executing, and hosting the Alpe-Adria, the central and only Slovenian tourist fair promoting green and active tourism. The international fair every year enables exhibitors to hold business meetings with travel organisers, tourist agencies, potential investors, representatives of interest groups, etc. The interested public could check the showcased offer of more than 330 tourism providers from Slovenia, Bosnia and Hercegovina, Croatia, Serbia, Montenegro, Italy, Austria, Hungary, Czech Republic and even Nepal. The fair, that took place between 30 January and 2 February, was attended by more than 20,000 people what made for a record in the last decade of the tourism fair events at the GR. In the beginning of March, the GR organised and hosted the 58th International Home Fair, the largest specialized international fair in the field of construction in Slovenia and neighbouring countries. The six-day event provided an impressive surface of more than 20,000 square meters exhibition space for 528 companies from 26 countries to display their offers for the home, building trade, doors and windows, heating and cooling engineering, interior fittings, security and landscaping. The oldest and biggest regional fair of this kind was set in all indoor and in three more prefabricated outdoor halls. This year’s number of 54,000 visitors proves that GR is every year successful in its aim of emphasizing the importance of green and sustainable solutions.